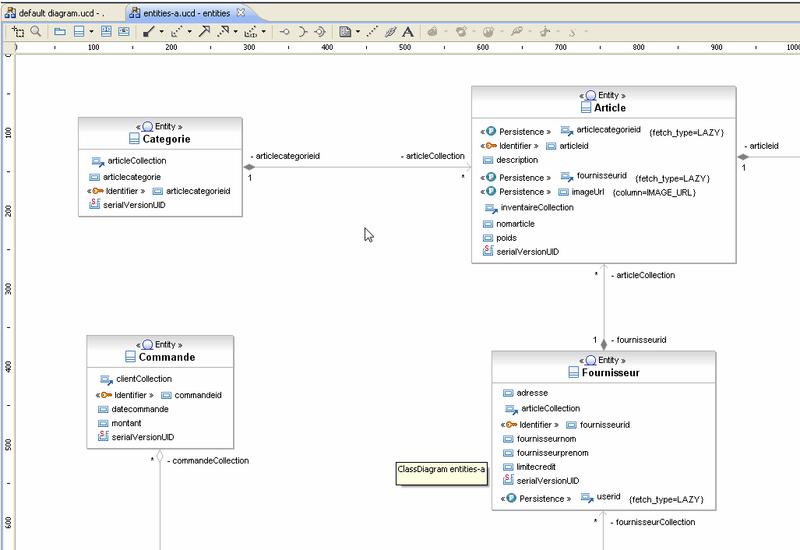 To reverse an existing Database into the Class diagram you need to use both Dali and EclipseUML plugins. 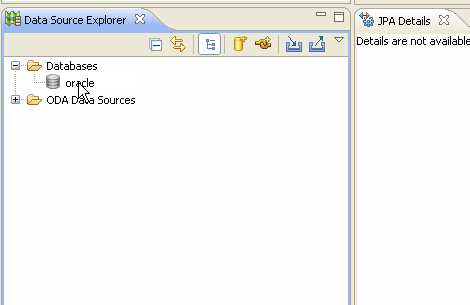 It is not possible to reverse an existing database if you don't use the EclipseUML JEE build including Eclipse 3.3 Europa. 1. 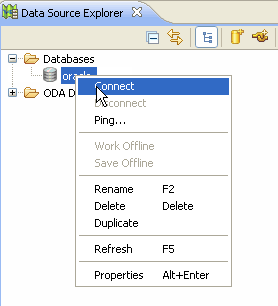 How to connect to my Database. 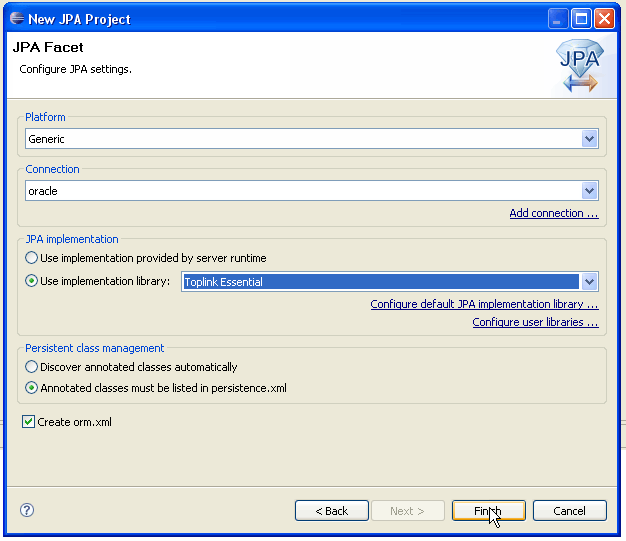 You need to switch to JPA Perspective. 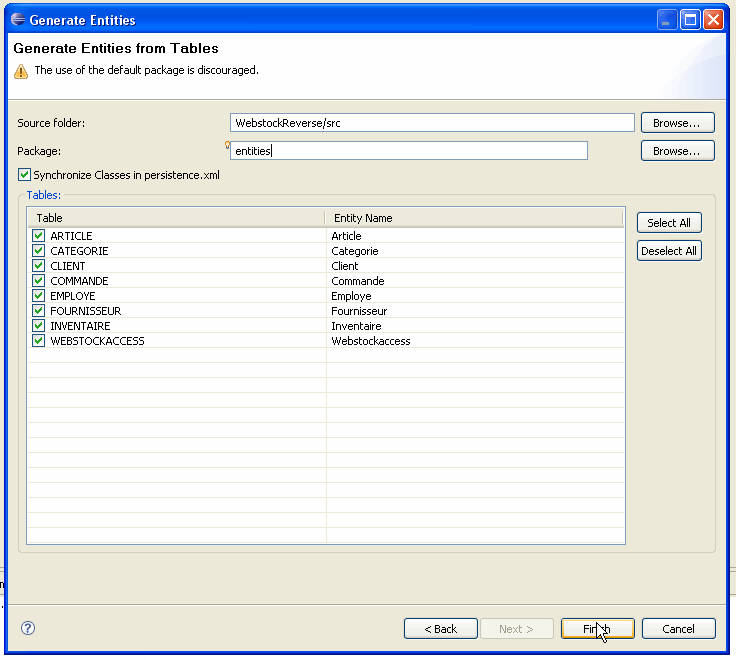 Your previously selected tables have been created as Entity Classes in your Package Explorer in the package entities. 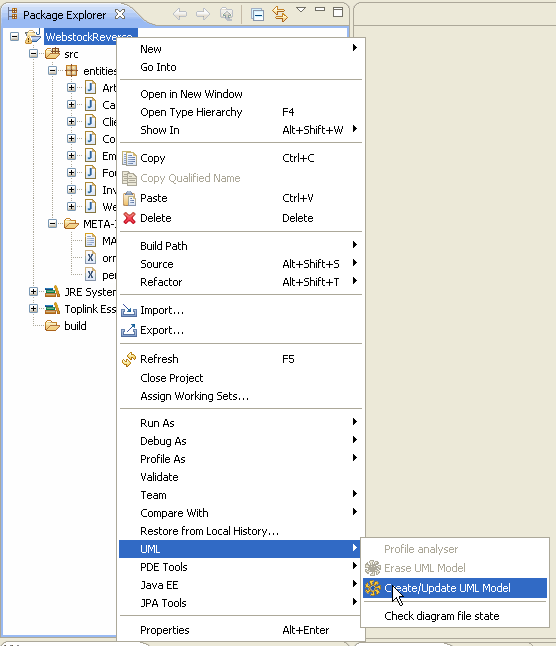 Click on your JPA project in your Package Explorer > UML > Create/Update UML Model. This will create a new UML 2.1 Metamodel from your Java Code Entities. 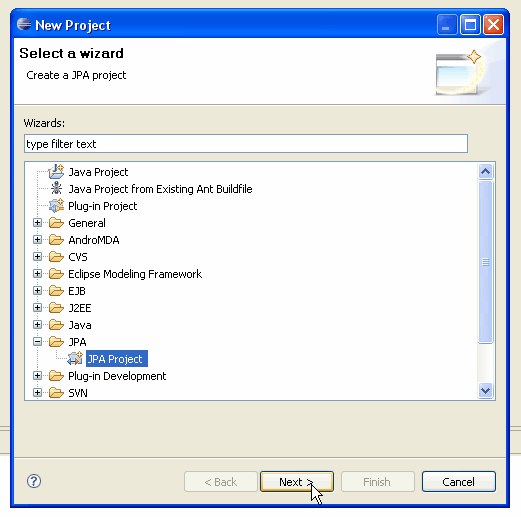 Select your project and the package you want to upgrade to UML > Next > Next > Annotations (EJB3) > Click on the Finish button. Your project has been updated to UML 2.1 metamodel. 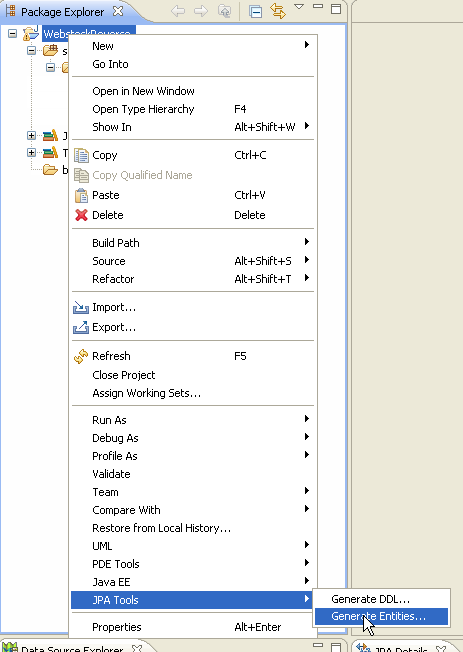 Click on your project and select src > entities > Open Reverse UML > Class Diagram > select association and click on the OK button. 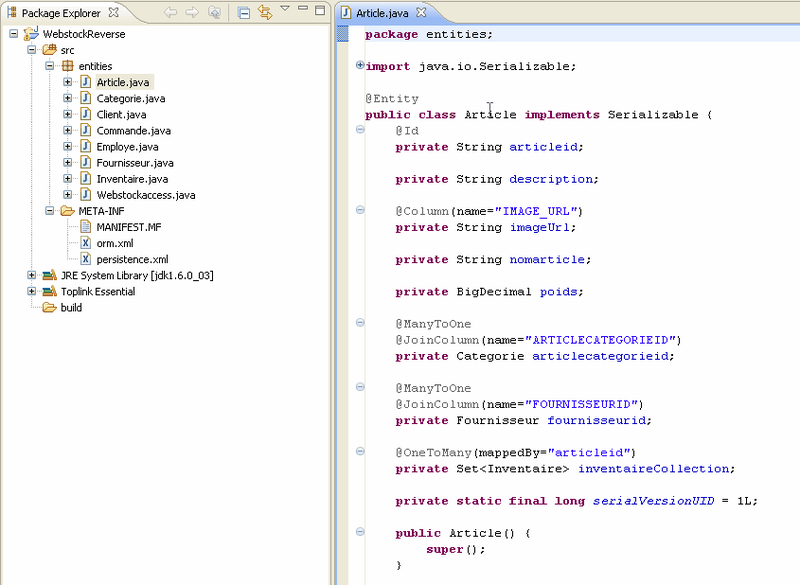 Here is the class diagram which will be displayed inside Eclipse 3.3 in the JPA Perspective.